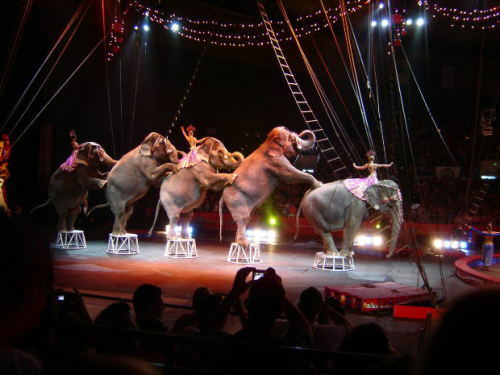 Escaped Circus Elephant Kills Man In Paris! Tanya, the female Asian elephant, managed to escape from her electrified pen and ended up brutally killing an 84-year old man on the streets of outer Paris. Last Sunday, Tanya completed her normal performance for the Cirque d’Europe, in the Parisian village of Lizy-sur-Ourcq and was then placed in a holding pen that featured an electric fence, but her handlers noted that she was “upset” and “angry.” Soon afterward, she grabbed a tarp with her trunk, and used it to cover the electric fence so she could make her escape. 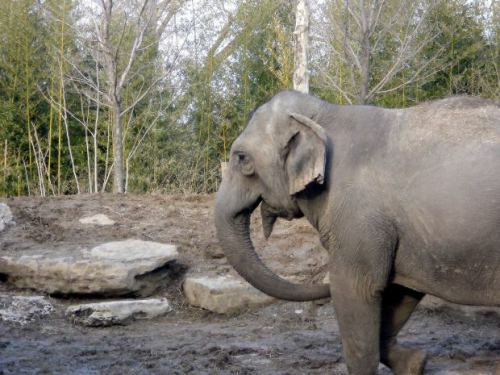 The enraged elephant crashed through a pair of barriers and made her way to the senior citizen who was playing petanque (A game sort of like Bocce) when Tanya picked him up, slammed him to the ground and trampled the poor man. He quickly succumbed to his extensive injuries at a local hospital. Some estimate that the reason Tanya snapped was probably due to cruel treatment, as people have come forward in the past to complain about the harsh beatings the elephant would receive if she did not perform to her handler’s liking. 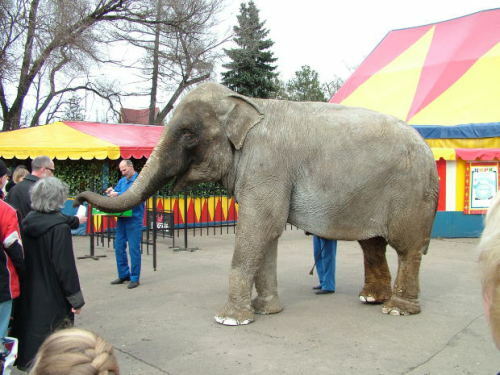 Tanya was originally named “Samba,” but Cirque d’Europe ended up changing the pachyderm’s name to distance themselves from the controversy, and no animal cruelty charges were ever filed against the circus in regards to her treatment. As of this writing, Tanya’s fate is yet to be determined, but between reports of her mishandling and previous aggressive behavior of charging keepers and throwing objects may lead to the decision to put the elephant down. Elephant & Cow Arrested By Police!